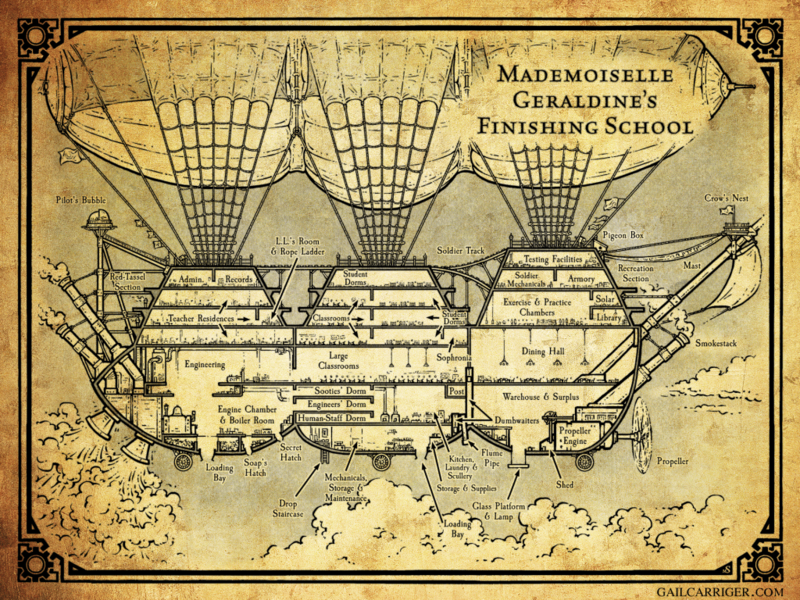 Schematic map of Meme G’s dirigible school featured in Gail Carriger’s Finishing School series. It is free, just enter 0 at checkout. Map as seen in the final book in the series Manners & Mutiny. Find out more about how this map came to be and Gail Carriger’s original sketch in this blog post.